Explore Orkney provides Orkney Island tours to meet the interests of archaeology, history, wildlife, photography and island culture. Explore Orkney is a privately held enterprise, founded in 2006, with a commitment to providing a quality experience, value for money and personable customer service. Steven Flett - Norwegian translator for website and overseas avertiser. We have a passion for our island life and through Explore Orkney enjoy meeting people from other walks of life and cultures to share our unique layers of history, traditions, and community spirit. We were born and brought up in the islands and can share our extensive local knowledge and family customs and culture with you, giving you an Orkney experience like no other. Explore Orkney actively contribute to charitable causes by creating and managing events for the less advantaged amongst the local community. Explore Orkney created and sponsor the Genuine Orcadian initiative to help sustain our unique Orkney culture by supporting Genuine Orcadian enterprise. The Flett name is the 4th most common name in Orkney and is believed to be the oldest Orkney surname. The family name can be traced back 1200yrs. 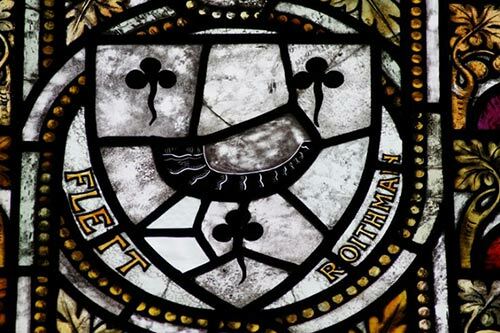 The Flett Crest can be seen in the St Magnus Cathedral on one of the stained glass windows alongside 4 other Orcadian names. Press enquiries and public relations matters should be referred to Susan Flett in the first instance. We are always interested to speak with high calibre individuals that could contribute to our substantive growth plans. If you believe that you can add value to our business please email or write to us enclosing a letter explaining why, together with a comprehensive C.V.